Passè shows an abstract dancer in a ballet position called Passè. 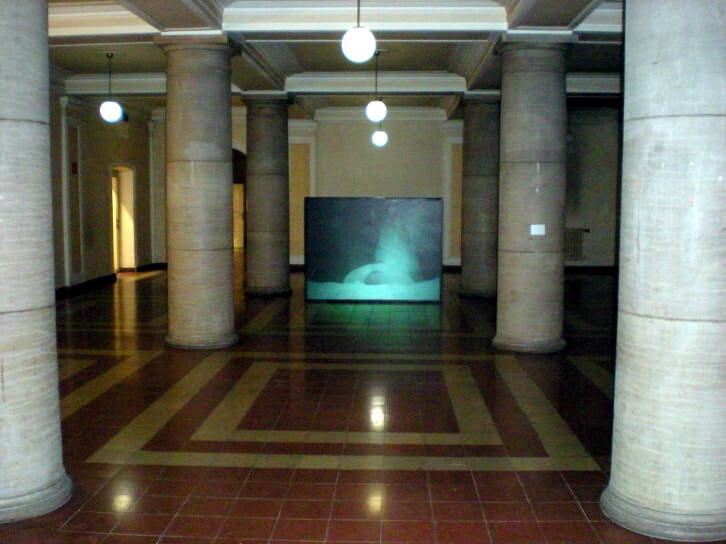 This installation was settled in the former Anton-Bruckner-University in Linz just before it was rebuilt. This was a place where students got their education in music, dancing and acting. This rotating figure is a silent goodbye for this house. An online gallery extended into virtual space. Each week a new “exhibition” opens on Instagram: a humorous but also critical game with reality and the image. This series shows images from the world of fashion and celebrities. Found, collected and cut out images combined with various items to abstract them. This collection shows variations of the video performances „The Hummerbichler Series“. Series of Photographs during „Staring At The Sun Through My Hands“. 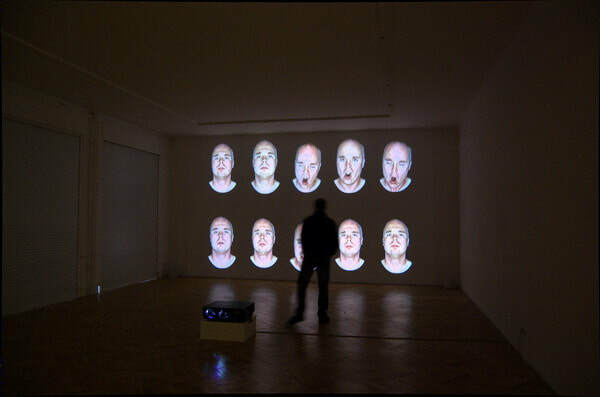 ​The video performance "THIS IS MY VOICE" shows a stuttering chorus. Ten choreographically identical speech performances are shown simultanously. The irritation caused by the stuttering sound results in a new onomatopoetic sound. A face on a bed of flour starts to dig itself into the pile. By repeatedly blowing the flour is moved to the side and goes up like a fountain. The flour covers the head and the back and turns into an abstract entity. The flour as a cultural asset and the existential process of breathing combine to create a homogeneous cyclic process.